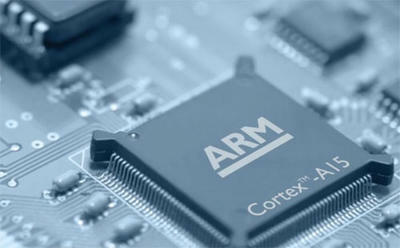 ARM announced its new quad-core hard macro Cortex-A15 MPCore processor on Tuesday. Designed to run at 2GHz, the Cortex-A15 MP4 hard macro's performance exceeds that of the Cortex-A9 while maintaining the energy efficiency. We're already drooling at the thought of the type of performance a quad-core phone or tablet running with a quad-core ARM-15 chip might offer. The 28nm system-on-a-chip (SoC) is designed to help OEMs bring products to market quickly while remaining cost-effective. There's no telling where we'll see these new processors implemented first but we shouldn't have to wait too long to find out. "For SoC designers looking to make a trade-off between the flexibility offered by the traditional RTL-based SoC development strategy and a rapid time to market, with ensured, benchmarked power, performance and area, an ARM hard macro implementation is an ideal, cost-effective solution," said Jim Nicholas, vice president of Marketing, processor division, ARM. "This new Cortex-A15 hard macro is an important addition to our portfolio and will enable a wider array of partners to leverage the outstanding capabilities of the Cortex-A15 processor."